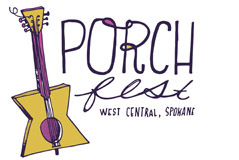 There are many ways to help make PorchFest West Central a success. Matt has helped to spread the word and connect us with artists. Having put musicians on the radio for nearly a decade, I’ve grown to love the Spokane music scene and all the amazingly creative people involved. These musicians and this original way of highlighting them are what brought my attention to PorchFest. Even though I’m neither a performer nor a host for the event, I’m happy to help out in some small ways: getting talented musician Tonya Ballman into the line-up and doing some promoting. Aside for attending multiple local gigs on a typical week, I also write about them for Spokane Coeur d’Alene Living Magazine. The drummer in one of my bands lives in West Central, so we meet for rehearsals regularly. It’s great to see the arts showcased in a nearby and unexpected place! Our creative community is whatever we make it, for better or worse. However, I’m an optimist to a fault on this topic, so I’m convinced we have the potential to make something awesome happen. 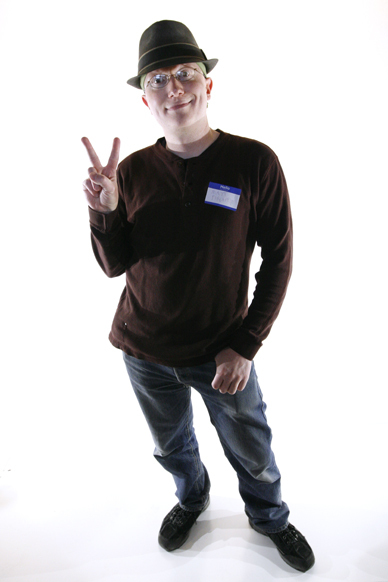 Ultimately, we need positive individuals with a vision and follow-through. Spokane is lucky to have Marshall around! This PorchFest, I hope people get to experience a great range of Spokane-based musicians and poets in a fun and friendly environment. I hope those interested in the arts get to mingle with the neighbors of West Central and enjoy the sights and sounds. This is where community-building happens.